I needed a birthday card for a special friend and when I saw The Color Throwdown challenge for this week, I knew immediately what I would do. I didn't have the exact colors shown in the challenge photo, but they are so awesome at the site - they say, "just get as close as possible". It was all a bit of trial and error on this shaker card, but by some miracle, there are no earlier versions of this in my trash can. It just kept coming together. That rarely happens to me! So all the products except one are from MFT Stamps. The only exception is that dotted circle which is a die from Little B. I didn't know how much I needed that die set. Oh my!! Off in the mail my card has gone now and I hope my friend will like it. 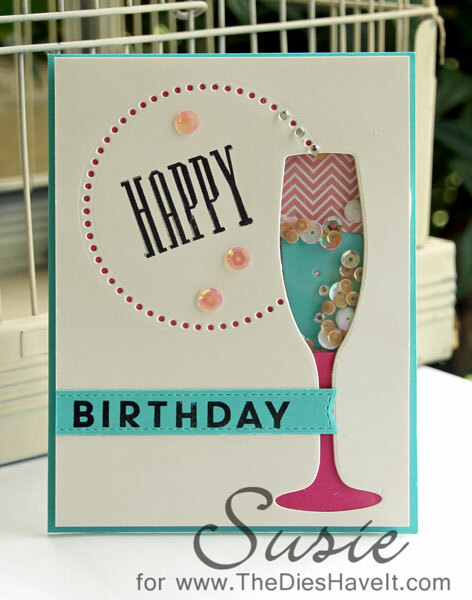 LOVE the champagne glass filled with sequins, such a cool card!! What a fabulous design, Susie! I love the background of the glass and love that you filled it with blingy goodness! 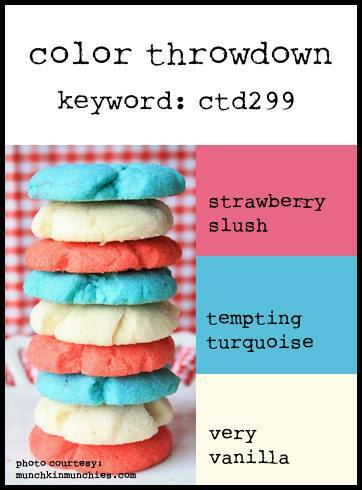 GREAT shaker card! Thanks for joining us for the Color Throwdown. I love this idea for a shaker, Susie! Those dies are really awesome. Thanks so much for playing along with the Simon Says Stamp Wednesday Challenge: Shake It! Well this is just perfect!!!!!! Love the champagne die with the fun sequins inside... Great card! A lovely card Susie, I love your design and colour scheme - your champagne full of 'bubbles' is stunning!!! I LOVE that you used the glass as the shaker vessel, Susie! Awesome card! Thanks so much for joining us at the Color Throwdown this week! Your little glass of bubbly is sooo cute, Susie....what a great idea to make it a shaker!!!! Thanks for playing along with us at the CTD!!!! This is very cute! Love how the sequins look like bubbles! Thanks so much for playing along with the Shake It! Challenge over at the Simon Says Stamp Wednesday Challenge Blog!